Sit down for a spot of tea and some target practice with the Pathfinder Roleplaying Game iconic ranger, Harsk! Black 100% cotton t-shirt. Got mine and love the way it looks. Highly recommend ordering one size larger than you wear as it fits a bit tight in the shoulders. OMG DWARF SHIRT! MUST HAVE! Does anyone have it yet? I'm curious about the tee shirt material itself ... really thin or nice and thick? Quality shirt or typical, crappy discount store t-shirt? Thick 100% cotton, Fruit of the Loom t-shirts. I was very disappointed with the quality of the print. 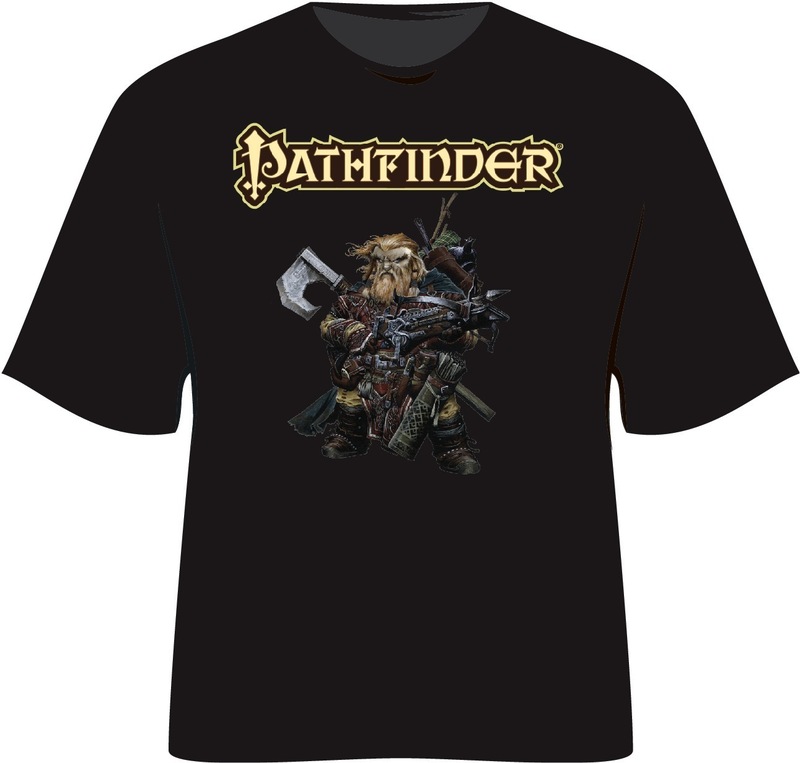 The Pathfinder Logo looks fine, but the dwarf is in muted shades of blue and looks like a hologram from Star Wars. I was hoping for more color. Anyone else have this problem?